Overall a very nice place to stay, the air conditioning was essential as when we stayed it was often 24C at night! 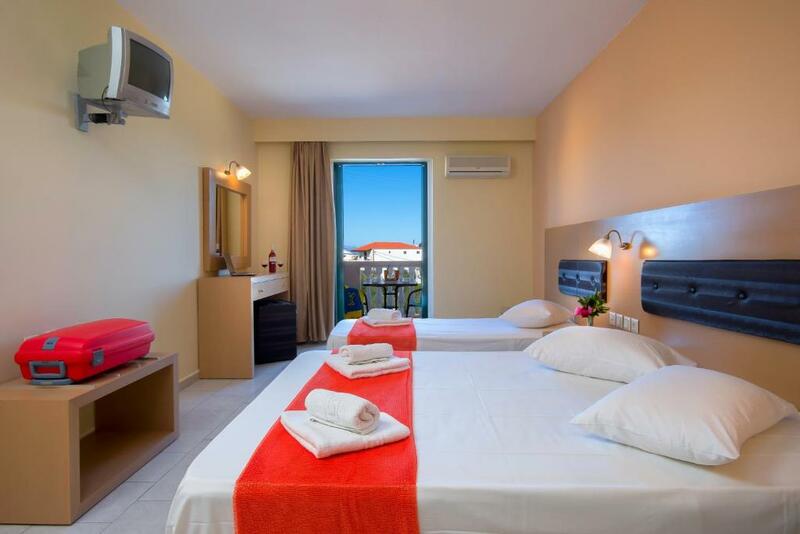 A major plus was that the place was kept exceptionally clean and we had clean sheets and towels regularly whilst the location was close to a good beach and only 1.5kms from Alikes beach which was fantastic. Personnel was very friendly and quick to help with any request. Rooms were clean and there was a nice pool in the front of the hotel. Parking space available for free. Good value for money. Very clean and comfortable. Spotless pool area. Quiet, pleasant location with a "real" Greek feeling. Some excellent Taverna's nearby. Small beach 10 mins walk away with lovely swimming. Came the second time to Kozanos ll and enjoy the time there very much! Everything is clean and the owner do they best for the guests! Daily cleaning. Large room with a safe. Large and modern bathroom. Swimming pool clean. Large flat TV. Very nice hotel, comfortable, high standard and a nice lady in charge. She was really helpful. Clean swimming pool, nice and quiet environment around the hotel. Great value for money. Can only give my best recommendations if you are looking for a relaxing holiday. I will definitely come back to Kozanos! The receptionist was friendly. I stayed in apartment and the beds were ok. We had a nice balcony where we drank our coffee in the morning and also everything you need in the kitchen. A quiet location, the owners are very nice. The apartment was very clean, also the yard and the swimming pool are clean. Thank you. Lock in a great price for Kozanos II – rated 8.4 by recent guests! Kozanos II This rating is a reflection of how the property compares to the industry standard when it comes to price, facilities and services available. It's based on a self-evaluation by the property. Use this rating to help choose your stay! 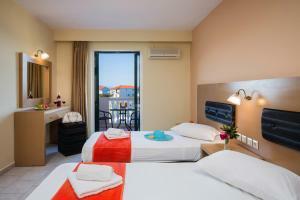 This family-run hotel is peacefully located in Amoudi and offers a personalized service at affordable prices. 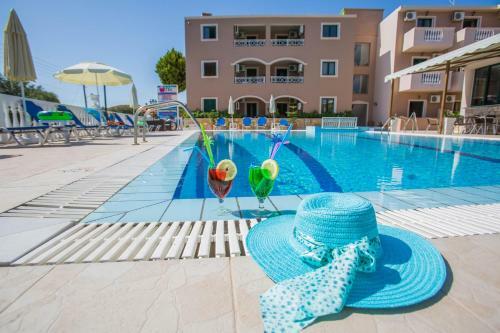 Kozanos Hotel is ideal for families and couples seeking quiet holidays near the sea. This relaxing resort has a traditional Greek village-like atmosphere. 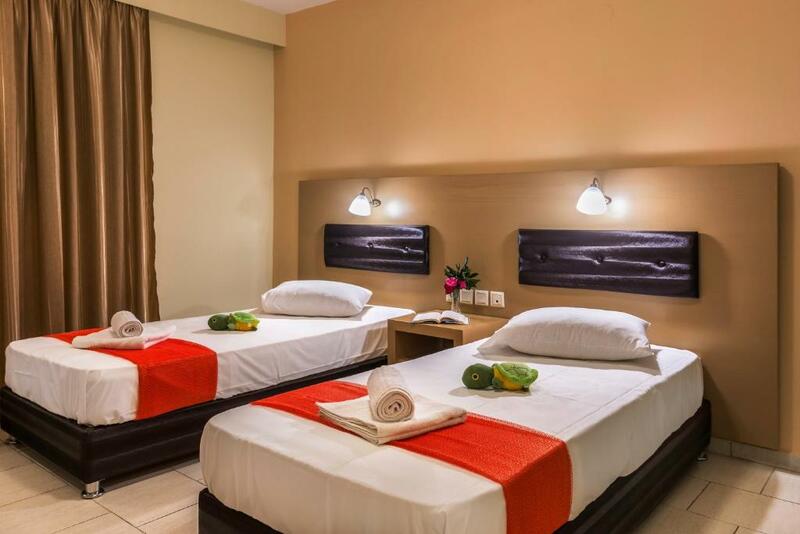 The Kozanos Hotel offers a wide range of features and facilities to make your vacation enjoyable and memorable, including friendly staff that can assist with car and bike rentals. Free Wi-Fi is available in public areas of the property. You can then get out and explore all that this beautiful Ionian island has to offer. Just 0.9 mi away you will find the lively resort of Alykanas, where there are many bars, restaurants and shops. Marvel at views of the golden sandy beach and tranquil Ionian Sea. After a day of exploring, return to the comfort of the hotel, which regularly hosts authentic Greek nights. 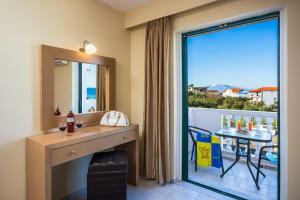 When would you like to stay at Kozanos II? Spacious studios with 2 single beds or 1 double bed, upon availability. 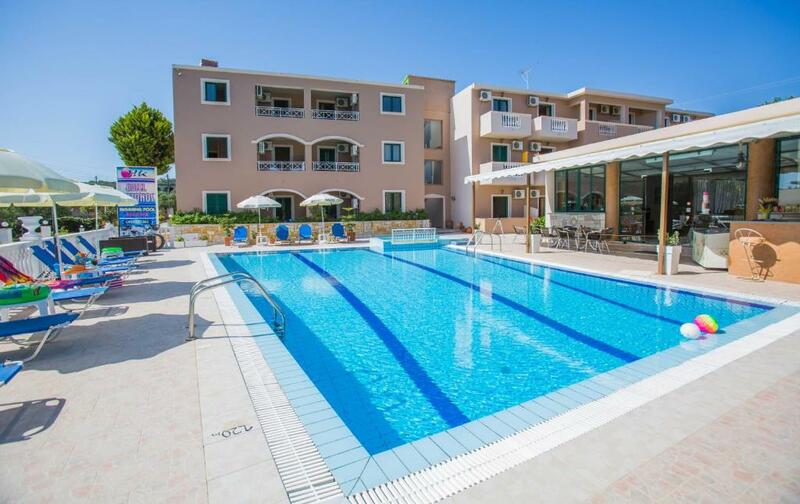 This 2-room apartment is ideal for families as it has 2 single beds and a separate bedroom with 1 double bed. Fully furnished studios with 3 single beds or 1 double and 2 single beds, upon availability. It opens to balconies with sea view or pool view. 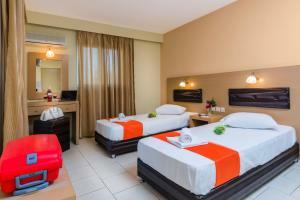 This studio consists of either 3 single beds and 1 roll-away bed or 1 double bed, 1 single and 1 roll-away bed. House Rules Kozanos II takes special requests – add in the next step! Kozanos II accepts these cards and reserves the right to temporarily hold an amount prior to arrival. Please inform Kozanos II of your expected arrival time in advance. You can use the Special Requests box when booking, or contact the property directly using the contact details in your confirmation. The downsides were a lack of utensils/cutlery , i.e. only 1 knife and 1 teaspoon and a lack of equipment in the kitchen area as there was no toaster or microwave oven and no plug in the sink or dishcloth or tea towel which together made cooking a meal very problematic. Frequently we found that there was no hot water in the bathroom sink and the shower was difficult to use as there was no riser rail, the toilet had a dual flush but only one worked. Another gripe was the lack of a duvet cover and sometimes sheets too small. When walking down the stairs you had to be careful as the last step was nearly double the height of the others!! The location is a bit remote, next to a small beach (Ammoudi). It is on the hilly side and away from the larger resorts / activities/ bars. There was virtually no cell signal ... had to rely on the hotel's Wifi for any sort of outside communication. Kitchen is not well equipped, i miss a microwave, a toaster. If we had any problem we could talk to the host, she gave us everything what we ask. Change towels every day. Supermarkets and lovely tavernas hereabout. Location is very pleasent and paceful. Noisy and the owner not so friendly. Wifi weak. Lack of hot water in one of the evenings. Parking on the street next to the property. The bathroom wasn't really ok because it didn't have a window and also there were a lot of mosquitoes.